This year's Late Late Toy Show on RTE attracted the highest viewer audience in well over a decade with an estimated 1.4 million viewers tuning in to Ryan Tubridy and his guests in order to view what's hot and what's not for this Christmas. The great thing about this show is always the kids.... they let you know exactly what they're actually thinking on the toys... and (especially what we're concerned with here) the books. Books got a fantastic showing with year, including some of my favourites. A Bit Lost by Chris Haughton is wonderful, humorous... a pure delight. (My further thoughts are on the Picture Books page.) Also, from our dear friends at Walker books, and equally wonderful, were There's Going To Be A Baby by John Burningham and Helen Oxenbury and, an oldie, but definitely a goody (making a surprise return) Don't Let The Pigeon Drive The Bus by Mo Willems. Another not to be missed picture book featured is Up And Down by Oliver Jeffers. For the older readers among us, don't forget Rick Riordan's return of Percy Jackson, Heroes of Olympus: The Lost Hero, Skulduggery Pleasant: Mortal Coil by Derek Landy, Eva's Journey by the wonderful Judi Curtin (a great story for austere times!) and a new offering by an old friend, The Longest Whale Song by Jacqueline Wilson. A marvellous addition to this year's lineup is Willy Wonka's Whipplescrumptious Annual 2011 by Roald Dahl. (Now I'm not normally one for annuals, but I may buy this one for myself!) The list goes on and on. These are just my highlights. The link below is for the Guardian review of Jennifer Donnelly's stunning new young adult novel Revolution. I include this here because it is the best, most precise review I've seen to date. 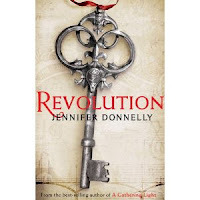 Revolution is a spectacular book by a truly gifted author and this review tells you exactly why. A novel full of texture and emotion, it treats it's themes with such sensitivity and authority that it cannot fail to move you. And if you haven't read Donnelly's previous book A Gathering Light, please do so immediately. 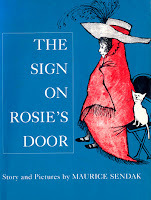 Today's Guardian (on-line) featured a very interesting gallery of children's books over the years. Chosen by The Observer's Kate Kellaway, these are her "The 10 Best Illustrated Children's Books"; the finest picture books for children. 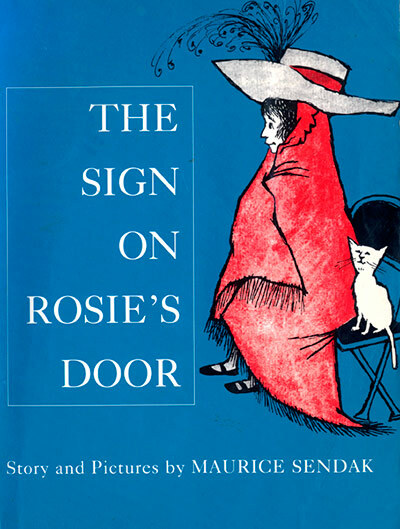 Included are some real gems: Dogger by Shirley Hughes, The Princess and the Pea retold by Lauren Child and 'captured' by Polly Borland, The Cat and the Hat by Dr. Suess, The Lost Thing by Shaun Tan... but there are also some completely unexpected inclusions and some notable exclusions. (I'm thinking of E.H. Shepard and Eric Carle most immediately.) I know if you only have 10 slots for the best illustrated books, it' would be very difficult to chose. I'm certainly NOT going to argue the validity of any of her selections...they are all wonderful. But I'm wondering about Kellaway's criteria. Was she applying a specific criteria or formula in her choices? Or were they simply her favourites? Not a criticism, simply curiosity.Of course, we'd all have different books in our "best", wouldn't we? 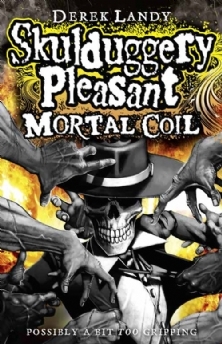 In the senior category for best children's book: Skulduggery Pleasant: Mortal Coil by Derek (he's done it again!) Landy. CONGRATULATIONS NIAMH AND DEREK!!!! Couldn't be more pleased for you if I'd written the books myself. If you looking for more information on all the winners of this years awards, here's the link for the Irish Times breaking news article. 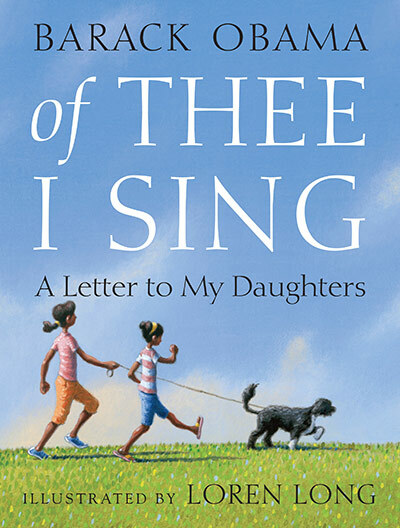 For a while now, we have been anxiously anticipating the release of Barack Obama's children's picturebook, Of Thee I Sing: A Letter To My Daughters, and it has now hit the shops as of the 16th (November). Of Thee I Sing... was written (before he became US President) as a letter to his two young daughters, Sasha and Malia, who feature through the story and is dedicated to his wife, Michelle. A word of caution, this book is very, very, very US centred. But that in and of itself does nothing to detract from the sentiment of the book. While it features only historical figures from United States history, reminding his daughters of the significant role each figure played in the development of the nation, the focus is not so much on specific US events in history as it is the qualities these people represent... courage, justice, strength, belief in oneself and in others and the ability to create change in themselves and others surrounding them. It may noy sell as well over here as it will in the States, but it is a worthy picture book with beautiful illustrations. Quite frankly, I like it. Also from PW, the New York Public Library played host to our good (and scary) friend Darren Shan as part of their TeenLIVE programming, which looks to “spotlight current cultural trends and important mainstays that inform the lives of today’s teens.” The event was held to celebrate the publication of Shan's newest novel The Saga of Larten Crepsley: Birth of a Killer. Shan was seen hobnobbing with actors dressed as characters from the Cirque du Freak series, and crow puppets made just for the occasion. And from all accounts, a good time was had by all. Congratulations to self-published author Siobhan Curham for winning the YoungMinds Book Award 2010. Curham has beaten titles from major publishing houses like Puffin, Headline and Egmont to take the award, announced at an awards ceremony on the16th November. The YoungMinds Award is given to a book which most helps young people aged 12+ deal with the issues and pressures of growing up. Below is the link to Siobhan's blog, which in addition to her musings on winning the award, also has some brilliant pages on her writing and how to publish. Great words of encouragement! 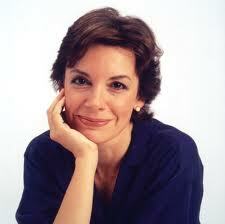 Michelle Paver Moves to Puffin! 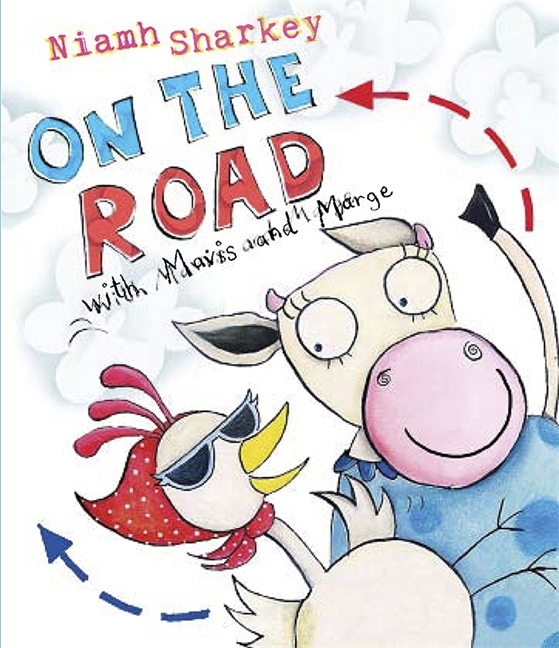 Puffin Books proudly announced today that they have signed award winning, best-selling author, Michelle Paver. The new series, entitled Gods & Warriors, is set in the Mediterranean during the Bronze Age. The first in the series is expected to be published in the autumn of 2012. Paver has already begun extensive research for the new books. The same trademark, near forensic research is what made The Chronicles of Ancient Darkness series vivid and textural explorations of prehistoric life, as well as brilliantly written, gripping adventures that tell the story of Torak, a young boy orphaned and alone with a companion wolf cub. The last book in the series, Ghost Hunter, won the prestigious Guardian Children's Fiction Prize 2010. 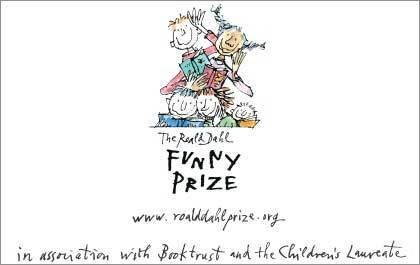 The winners of the Roald Dahl Funny Prize in children's literature have been announced! Louise Yates for the wonderful, wonderful Dog Loves Books ! Louise was inspired as a child by the work of Quentin Blake to become a children's illustrator, and from a very competitive short list (including Quentin Blake, himself), she came up trumps! It's no secret that this book is one of my favourite picture books of the year. In the Funniest Book for Children Aged Seven to Fourteen, the winner is none other than that Queen of Teen, herself, Louise Rennison for the first book in her new series Withering Tights! Rennison's new book revolves around the adventures of Tallulah Casey, a boy-crazy, gawky teenage girl and student of a Yorkshire performing arts academy. Tallulah may be at that awkward stage in life, but her observant, clever commentary on life is not only laugh-worthy, but quite accurate! Both authors were presented with their awards today at a lunchtime ceremony in London. 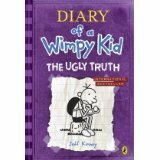 Jeff Kinney Strikes Again with "....The Ugly Truth"
As you must all be aware (from all the excitement in the air as vast numbers of children exited bookshops clutching a shiny new purple coloured hardback with HUGE grins on their faces), last week on the 10th of November saw the release of "Diary of a Wimpy Kid: The Ugly Truth". Greg Heffley is growing up fast, and, he now has to deal with the pressures faced in the teenage years, particularly difficult, and hilarious!, for a wimpy kid. "Wimpy Kid" has always had huge success, but this is ridiculous! As, I said, the book arrived on the 10th, in quantity, and we (Dubray Books, Galway) were completely sold out by Tuesday afternoon. (Don't worry, quantity is on the way back in... and may even be there as we speak!) According to Bookseller, during the last week, which was it's first week, "...The Ugly Truth" ranked third in sales, including all sales, not just children's books, selling an impressive 30,312 copies. And, Wimpy Kid outsold the other big book released on the day (Decision Points by George W. Bush) by nearly double the amount! Admittedly...this is NOT about books. This is about Christmas!!!!! The Christmas lights of Galway will go on this Friday evening, 19th November. And, simultaneously, the Continental Christmas Market in Galway will open in Eyre Square. So...while the cynics can say (with a good bit of truth, to be fair) that this is a commercial venture.... I chose to see it as a grand opening of a truly magical season. Eyre Square will be transformed into a magical winter wonderland with up to 70 market stalls offering items from all over the world (Russia, Peru, USA, all over Europe...), rides and activities for the little ones, (You can't fool me...I saw the carousel being delivered! ), food and hot chocolate!, and, of course Santa's Grotto (direct from Lapland to you)!!!! The Christmas market village will be in place from 19th November until the 19th of December. I've been watching the construction taking place in all kinds of weather (well...mostly high winds and steady rainfall). With each day, I get more and more excited. Today, they were placing lights on the tree in the centre of it all. While I will put up some photos as I get them...I fear I'll not be able to attend the official lighting. I'll be in Dubray Books, working away... but I will be right in the middle of town when the lights come on. It makes me feel so much better about working the evening shift. 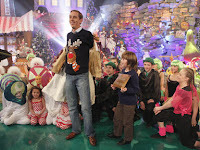 Those good people at mykidstime.ie have published their latest online issue dedicated to the Christmas holiday season. Included are some wonderful features: most notably a feature on one of (if not my all-time) favourite author Cornelia Funke and some reviews by yours truly and others. New Book and website Launch! 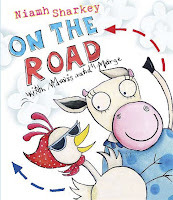 Morag Kelly is set to launch her new children's book and website this Saturday, 13th November at 2 pm in the Druid Theatre Company in Galway. The book tells the story of a child's adventure in Greenieland, bringing important environmental and seasonal messages to light, teach a bit about gardening and tell a cracking tale. Written for young beginner readers with delightful illustrations, children will be entertained and learn a little bit more than those all important reading skills. With a great companion website, the adventures in Greenieland will go on and on! I'd like to extend my personal congratulations to Morag! If any of you are interested in attending, check out the site below to complete the survey. Morag wants to be certain there are enough crayons for the children to enter the Haughty Heron colouring competition... and wine for the parents! Harry Potter and the Deathly Hallows!!!! As I'm sure you know by now, the first part of the final Harry Potter film will be released here on the 19th of November, with part two making it's appearance in spring 2011. (Personally, I think they were dead right to release it in two parts. Too much happens in that book to cram into one film. I wish they had done that with "....the Order of the Phoenix.") The trailer promises much...dramatic, dark, gripping. I can't wait. And for those of you who haven't had a good look at the previews yet, what follows is the 'Harry Potter and the Deathly Hallows' website link. Brilliant! 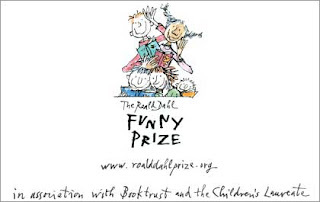 There has been a huge amount of activity in regards to children's literature awards in the past week. Along with all the other, the CILIP Carnegie and the Kate Greenaway Award nominations have been presented. The list for the prestgious CILIP Carnegie Award is extensive! I'm absolutely delighted to see one of my most-talked-about (and truly beautiful) books, The Sky Is Everywhere by Jandy Nelson is included; along with many other of my favourites such as Lob by Linda Newbery, Spirit Hunter by Katie Moran, The Double Life of Cassiel Roadnight by Jenny Valentine, The Crowfield Curse by Pat Walsh.... these are just a few of the wonderful novels for young people. Check out the list yourself! Dog Loves Books by Louise Yates, Cloud Tea Monkeys by Mal Peet, Elspeth Graham and Juan Wijngaard, Diary of a Baby Wombat by Vivian French and Bruce Whatley, When Night Didn't ComeRed Ted and the Lost Things by Poly Bernatene, and (of course) Michael Rosen and and Joel Stewart's ..... and, again, many many others. It's time, once again, for the presentation of the short list for The Irish Book Awards 2010. What I want to focus on here, of course are the selections for the DAA Irish Children's Book of the Year in two category sections; junior and senior. These awards are selected by popular vote, so go on line ASAP and vote for the book you'd like most to win in these and all the other categories. I know I'm going to have a difficult time selecting my favourites! 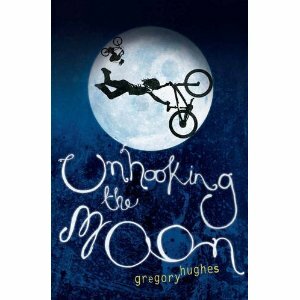 The Booktrust Teenage Prize 2010 has gone to Gregory Hughes for his debut novel, Unhooking The Moon. The judges cited the novel's "genuinely unique voice" when awarding the prize. And I, for one, would certainly agree. Unhooking The Moon tells the story of 10 year-old Rat, who travels across Canada with her older brother, Bob, in search of their Uncle.... either a very successful businessman, or a very sinister drug lord. While on their way, they meet a con man (great comic relief here) and famous rap star and find themselves in and out of severe danger, sometimes just by the skin of their teeth. The characters are astounding and their story is classically memorable. Tough, hard-edged and heart-warming, Unhooking The Moon truly deserves this, and any other accolade which happens to come it's way.